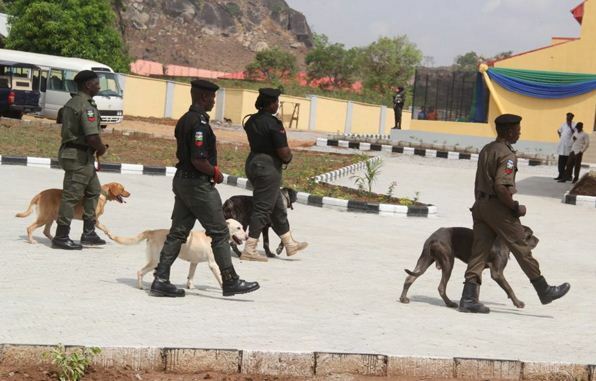 The Nigeria Police has inaugurated the Police Dog Breeding Centre and Ultra Modern Mounted Troop in Abuja on Thursday. The Inspector-General of Police (IG), Mr Solomon Arase, said the Nigeria Police Force had spent over N600 million on the procurement and maintenance of foreign dogs in the last few years. The IGP made this known during inauguration of the Centre. Arase said that this was not certainly sustainable in the face of the current dwindling resources and the Police was spending much on the importation of foreign dogs that rarely adapt to the country’s policing objective. He said that the projects inaugurated were funded within the budgetary provisions of the Force Animal Branch, which had remained underutilised in the past.